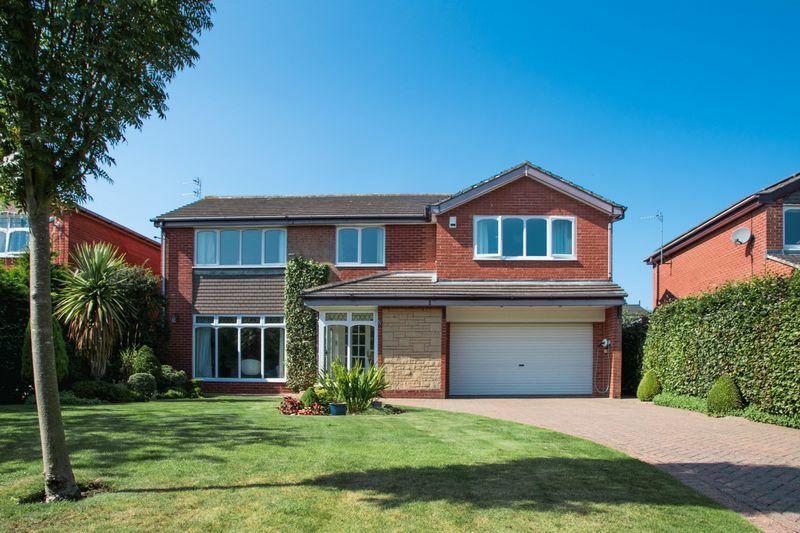 ***Price Reduced*** Property Rung are delighted to bring to the market For Sale, this exceptional 5 Bedroom Detached Family Home in the sought after location of Romford Close, Barns Park. 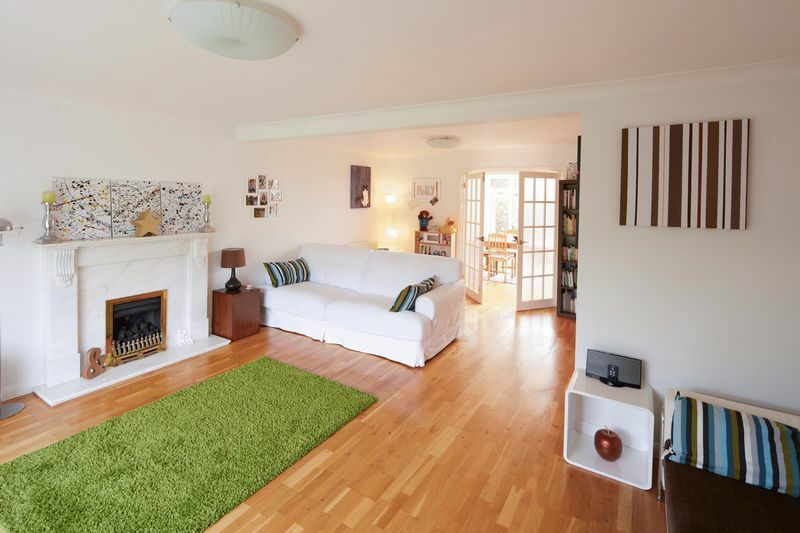 Set in an idyllic and peaceful cul-de-sac this beautiful property has so much to offer both inside and out. Internally the property has undergone major renovations giving the property extensive living and family space on both levels. The Entrance Hall sets the scene with open spindle staircase, leading us through to the generously proportioned Lounge, Kitchen and Dining Room. 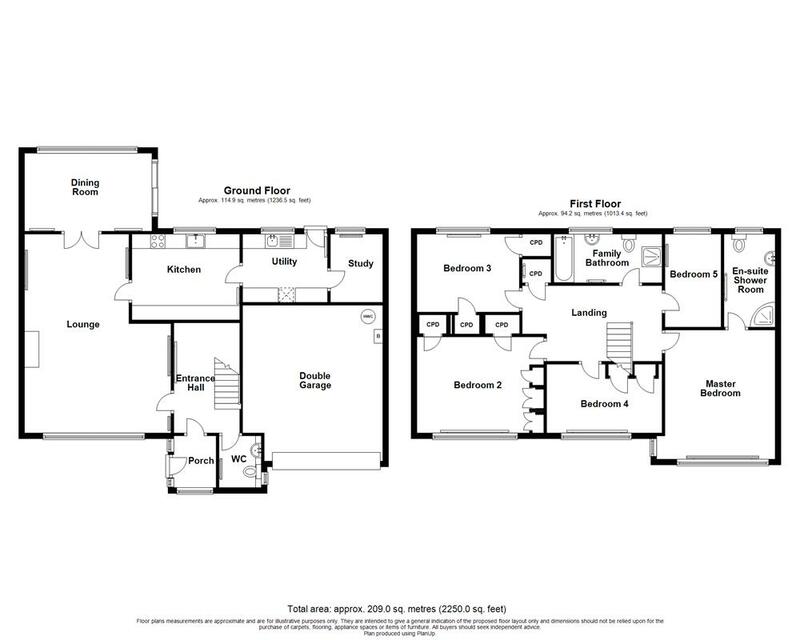 The Utility Area, Study and Ground Floor WC are a welcome addition to the Ground Floor of the property, both practical and convenient. The First Floor has an open spindle galleried landing, Master Bedroom with En-Suite Shower room, a further 4 Bedrooms and Family Bathroom. 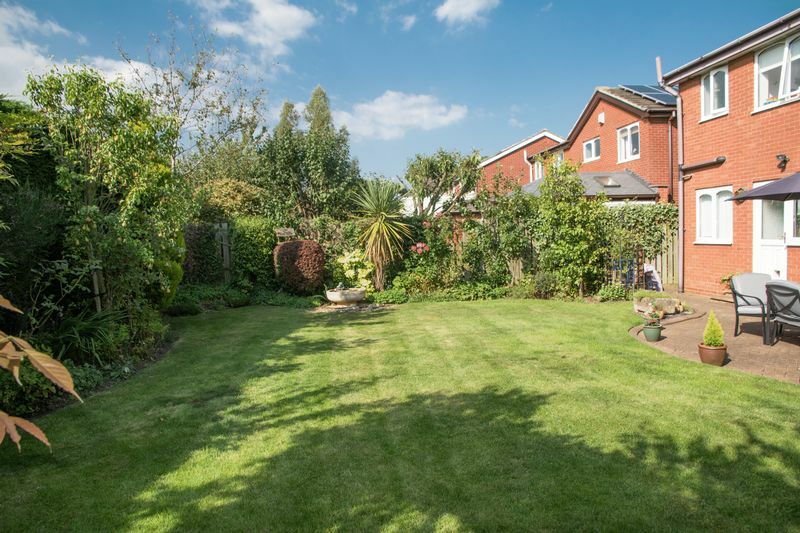 Externally the property has landscaped gardens to both the Front and Rear. 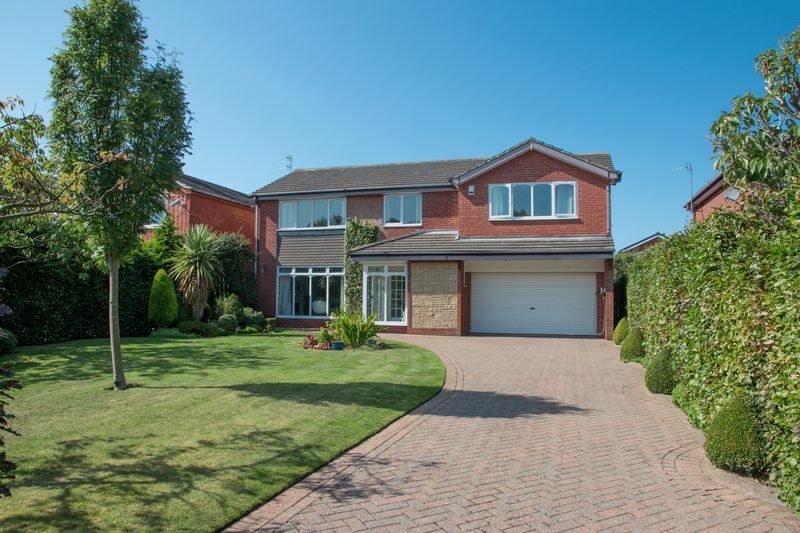 With an extensive Driveway leading to Double Garage and lawned garden to the front, with mature trees and established shrubbery, creating a private yet scenic surrounding. 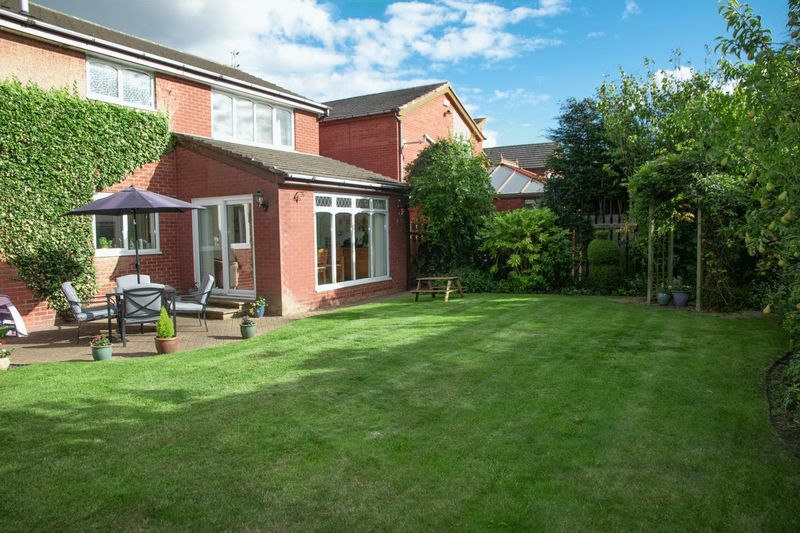 To the rear of the property, a private enclosed West facing garden, benefits from a block paved patio area. The garden is laid mainly to Lawn and benefits from established conifers and shrubbery, creating a private space to retreat to. 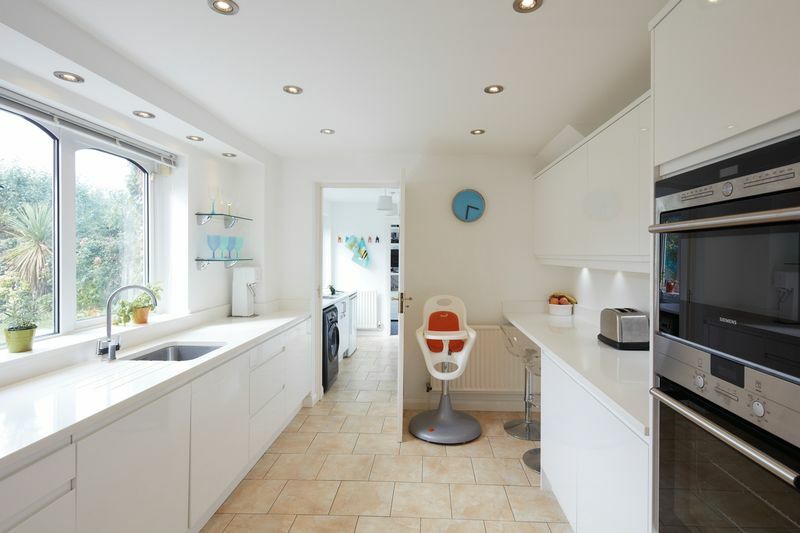 Although this property is a hidden gem in an idyllic setting, it is situated very close to local amenities, including local shops, restaurants, cinema, library and excellent schools. Close proximity to both the A1 for travel North & South and the A19 makes it the perfect location for commuters and local travel is accessible with regular buses running into the Centre of Newcastle. Through the front door we are immediately led into the Entrance Porch. This light and airy room benefits from windows to front and side elevation. Internally a door leads into the Entrance Hallway and the room benefits from a marble floor under-foot. Through the entrance porch, we enter in to the immaculately presented Entrance Hallway. 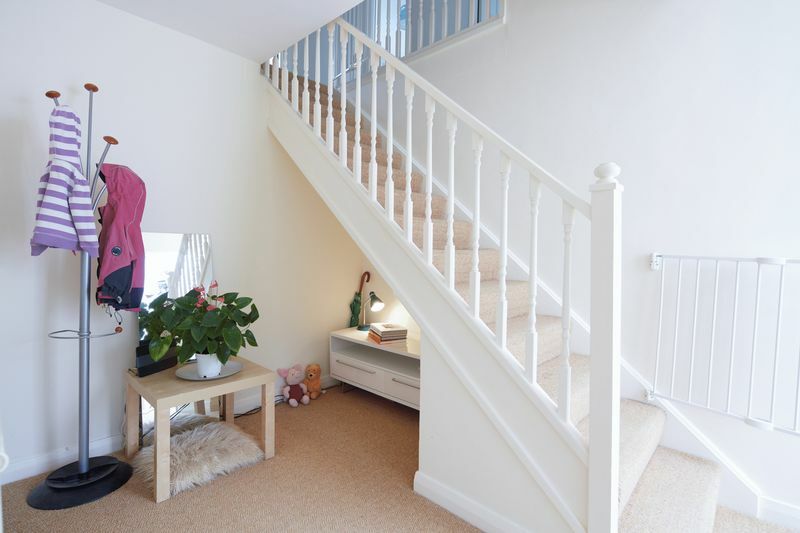 Instantly, this room sets the tone for the rest of the property with its beautifully presented white open spindle staircase, providing access to the first floor accommodation. To the right a door leads through to the conveniently situated Downstairs WC and to the left a door leads through to Lounge and ground floor accommodation beyond. 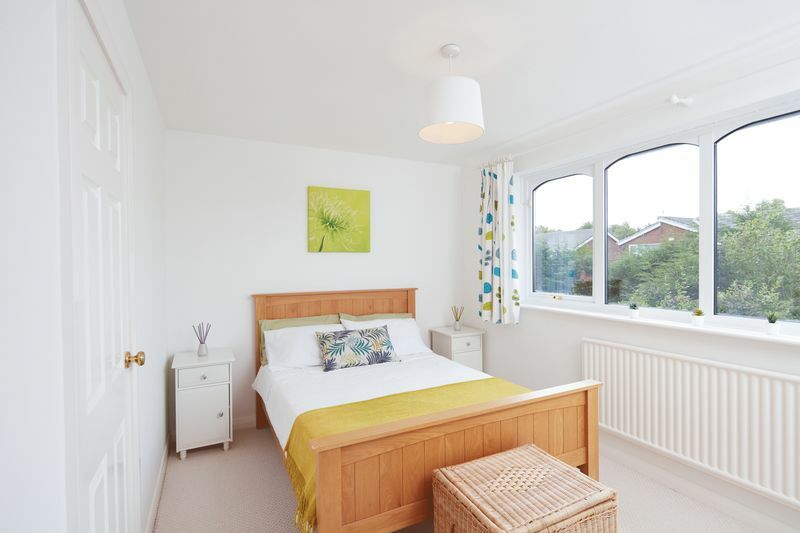 Other features of the room include under-stair recess ideal for storage, single radiator, Nest digital control thermostat and carpet under-foot. 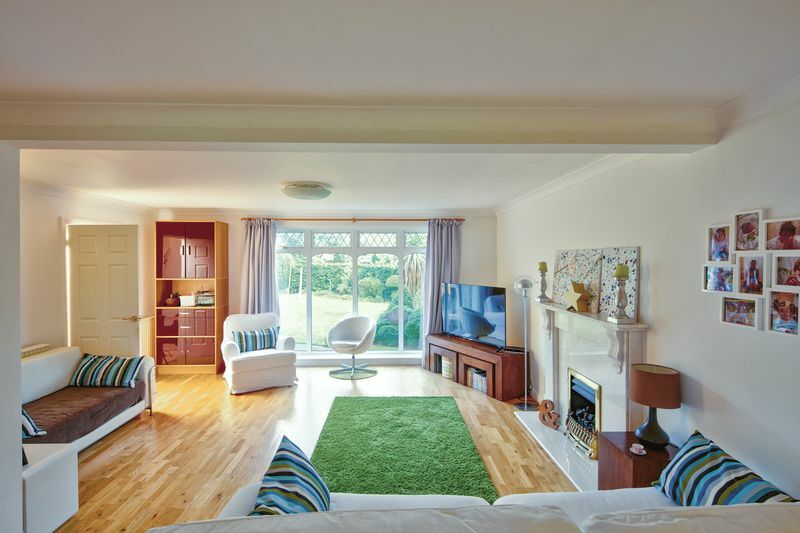 Entered via the Entrance Hallway through a glass panelled door, the Lounge is situated to the front of the property. The focal point of the room is a coal effect gas fire with prominent marble surround with contrasting and complimentary marble inset and hearth. Double glazed windows look to front elevation. The room provides access to the Dining Room via glass panelled, double doors and to the right of the room there is access to the Kitchen, Utility ad Study beyond. Other features of the room include four double radiators, decorative coving to ceiling and solid oak wooden floor under-foot. 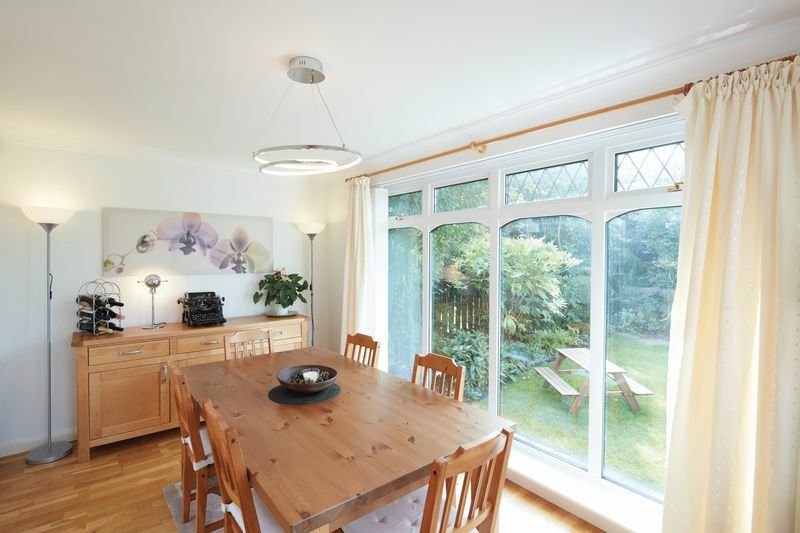 The Dining Room is situated to the rear of the property and benefits from double glazed windows to rear elevation and double glazed patio doors to the right which lead into the private rear garden. Other features of the room include a single radiator, decorative coving to ceiling and solid oak wooden floor under-foot. Entered via the Lounge, you arrive in the Kitchen This room once again emphasises the high level of workmanship and detail that is a recurring theme throughout this property. 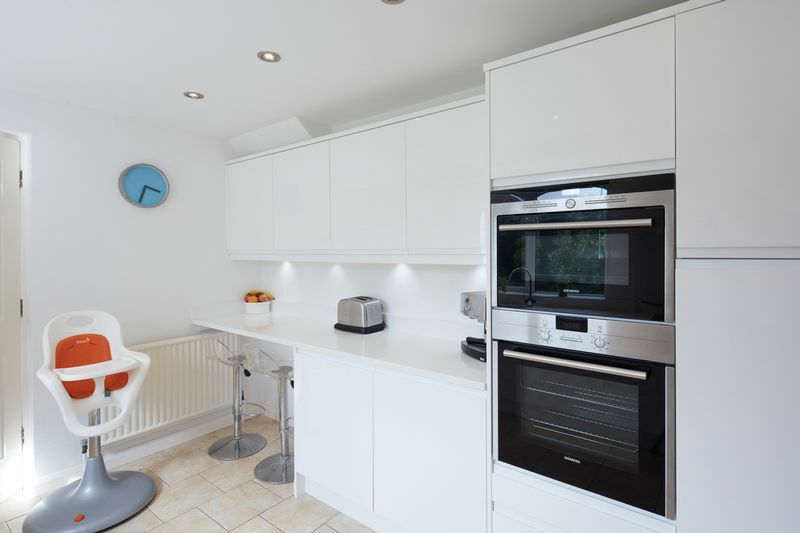 The Kitchen is tastefully fitted with hi-gloss white wall and base units with under unit lighting, complimented by Silestone work surfaces that extend to a seating area. The Kitchen is equipped with integrated Siemens appliances including, single fan oven, microwave, dishwasher and under-bench fridge. The room also benefits from an induction hob with stainless steel extractor above. There is a Franke Largo stainless steel sink unit with mixer tap. Recessed lighting and contrasting tiled floor under-foot gives the room a contemporary modern feel. A double glazed window looks out to the rear elevation and door provides access to the Utility Room. Other features of the room include double radiator. 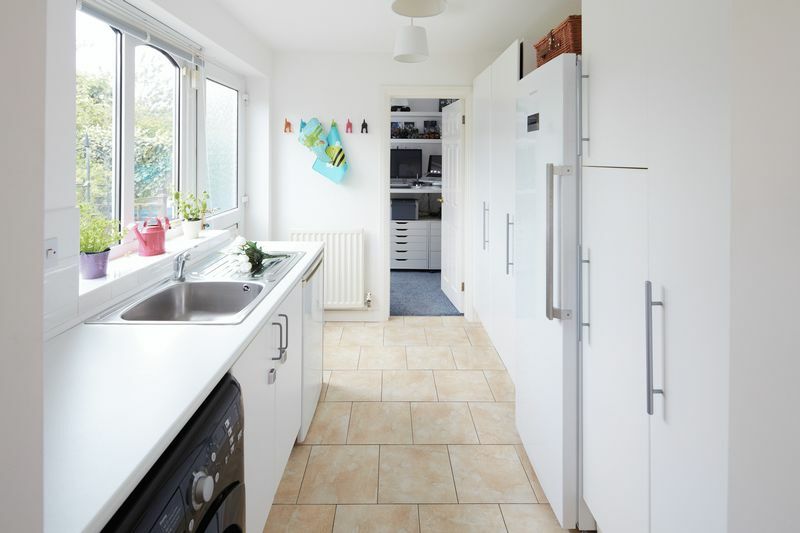 The Utility room leads off the Kitchen and benefits from white base units with complimentary work surfaces, housing a stainless steel sink unit with drainer and mixer tap. The room is plumbed for an automatic washing machine and has space to house a tumble dryer. A double glazed window looks to rear elevation and a double glazed door provides access to the private rear garden. Other features of the room include complimentary tall boy style storage cupboards, with space to house a fridge freezer in between, single radiator and tiled flooring underfoot. A door provides access to the downstairs Study. The Study is a perfect space to have a home office, away from the main living ares of the property. This room benefits from a double glazed window to rear elevation, underneath which sits a double radiator. Other features of the room include carpet underfoot. 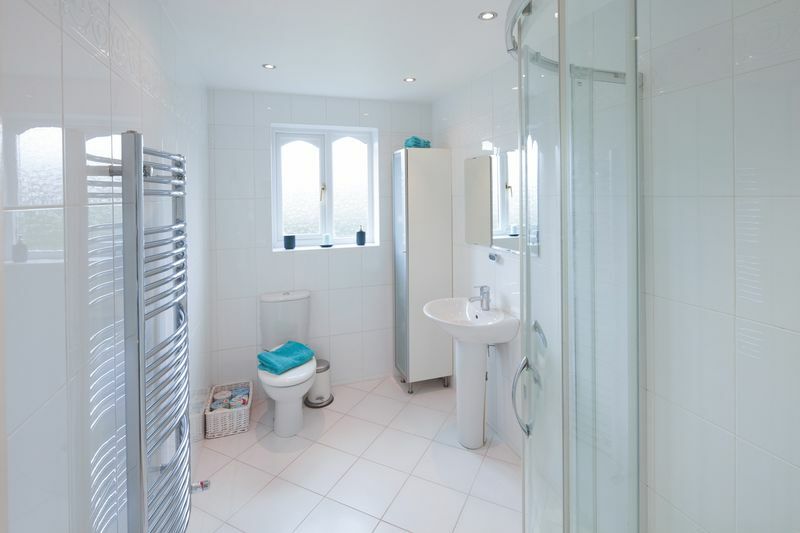 A conveniently situated ground floor WC, benefiting from neutral tiles to floor. A white suite consists of vanity unit with low level WC and wash hand basin. A frosted double glazed window looks to side elevation and other features include a double radiator. 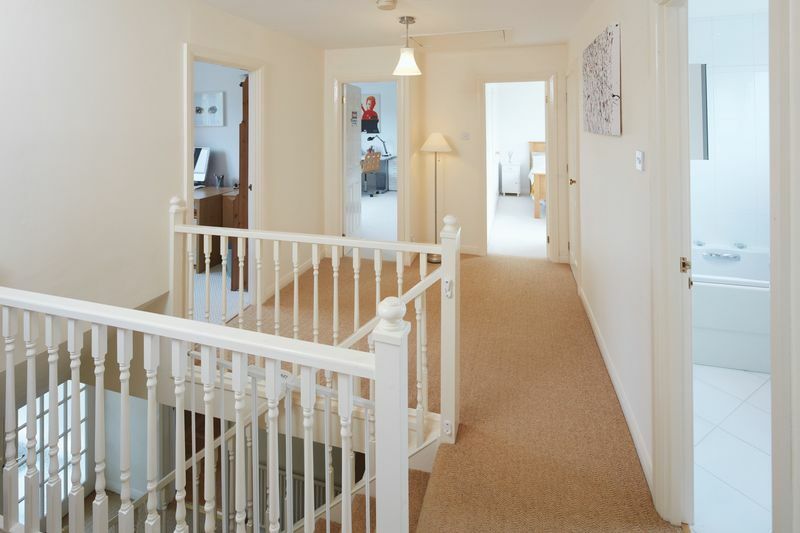 The first floor galleried landing with white open spindle balustrades provides access to Master Bedroom and En-suite, 4 further bedrooms and Family Bathroom. The landing has a spacious feel and features 2 loft hatches, one side is part boarded with pull down loft ladder and the other is fully boarded again with pull down loft ladder. 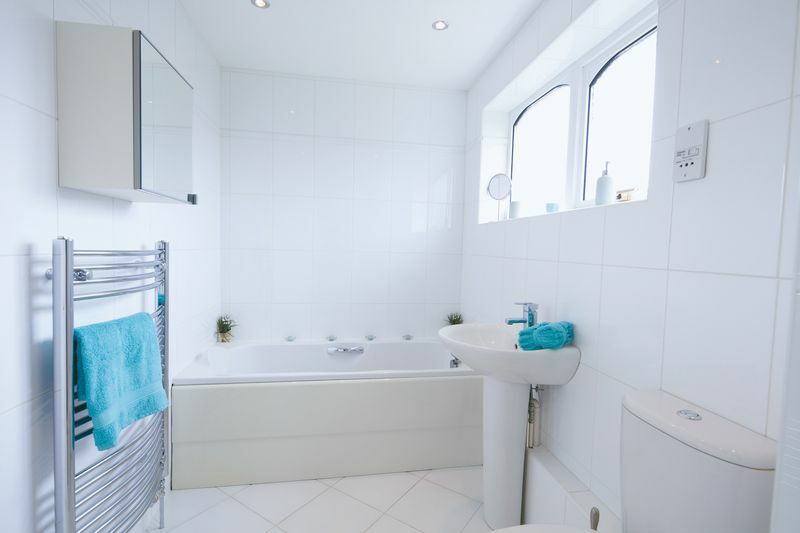 other features of the Landing include an airing cupboard complete with heated towel rail and carpet underfoot. Through a panelled door, you are welcomed by this tastefully decorated, generously proportioned Master Bedroom. This beautiful room is perfect to retreat to at the end of the day. Two double glazed window looks to front and front/side elevation. A door leads through to the En-Suite Shower-room. 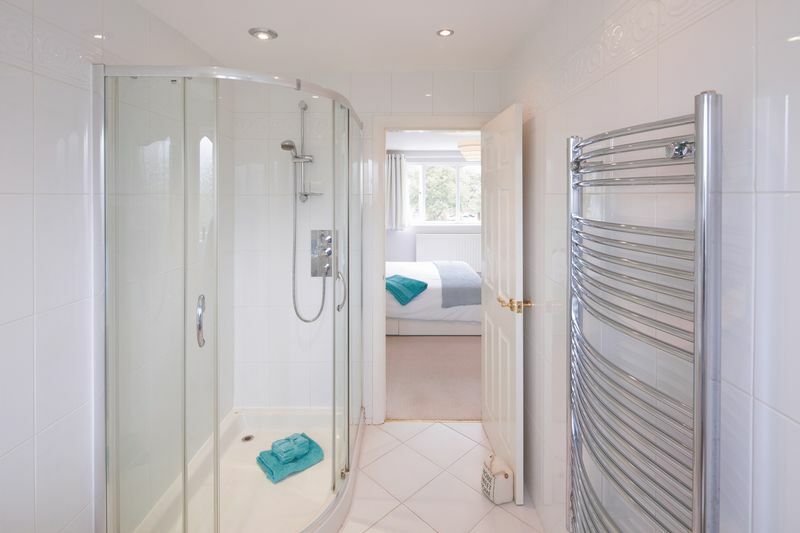 Entered via the Master Bedroom, the En-Suite Shower-room is finished to a high standard, with its heated chrome towel radiator, recessed lighting, corner, tiled walk in shower, low level WC and pedestal wash hand basin. A double glazed opaque window looks to rear elevation and tiled flooring under-foot. Bedroom 2 is situated to the front of the property, with a double glazed window looking to front elevation. 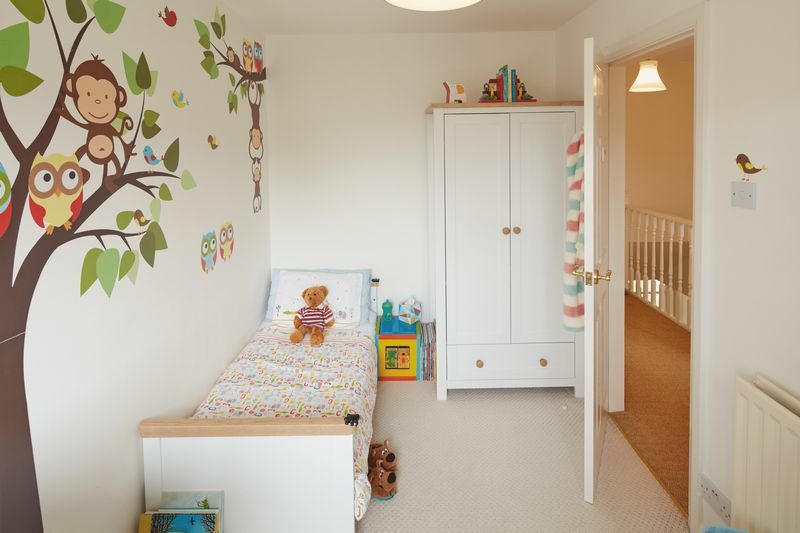 The room has fitted wardrobes and benefits from two large cupboards with additional wardrobe or storage space, the room also features a single radiator and carpet underfoot. 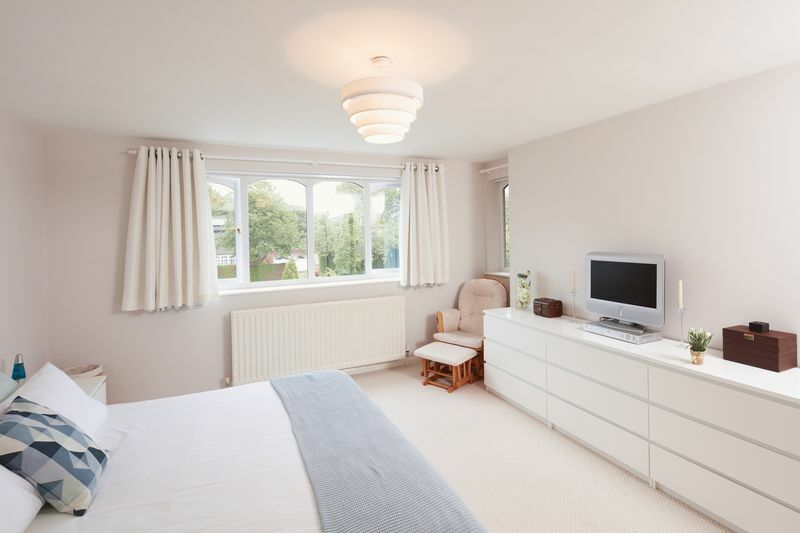 Bedroom 3 is situated to the rear of the property, with a double glazed window looking to rear elevation. The room has two large cupboards providing wardrobe/storage space. Other features of the room include single radiator and carpet underfoot. 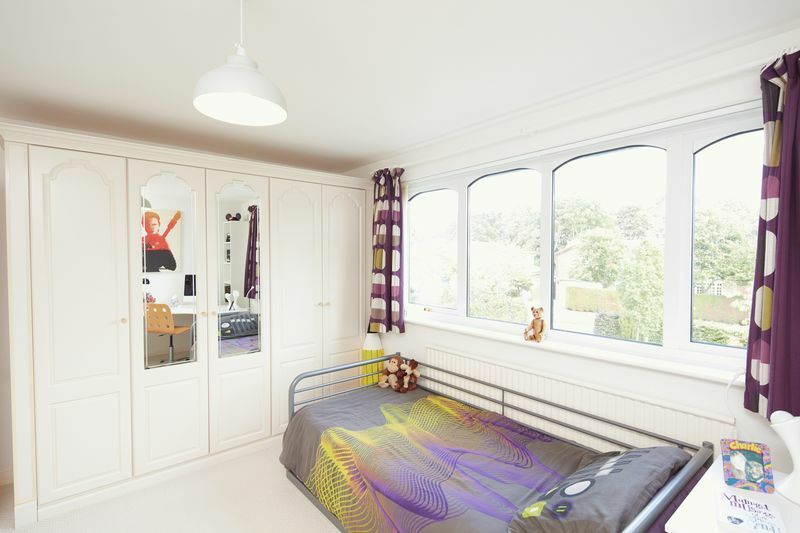 Bedroom 4 is a single bedroom benefiting from two large cupboards with clothes hanging and storage space. The room is used by it's current owner as a further Study. 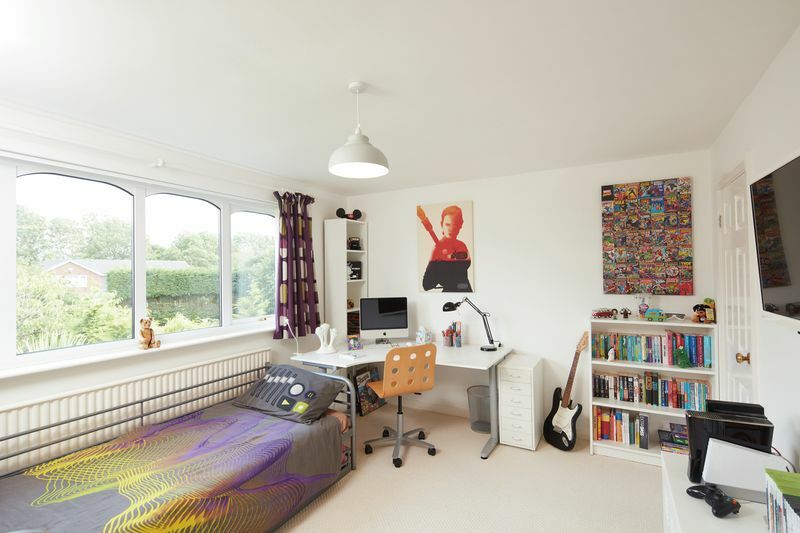 Other features of the room include a double glazed window to front elevation, single radiator and carpet under-foot. 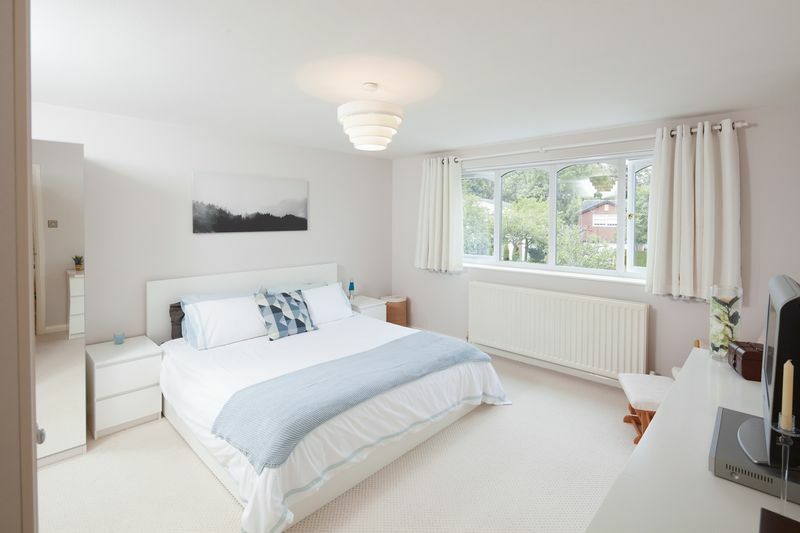 Bedroom 5 is situated to the rear of the property, with a double glazed window looking to rear elevation. 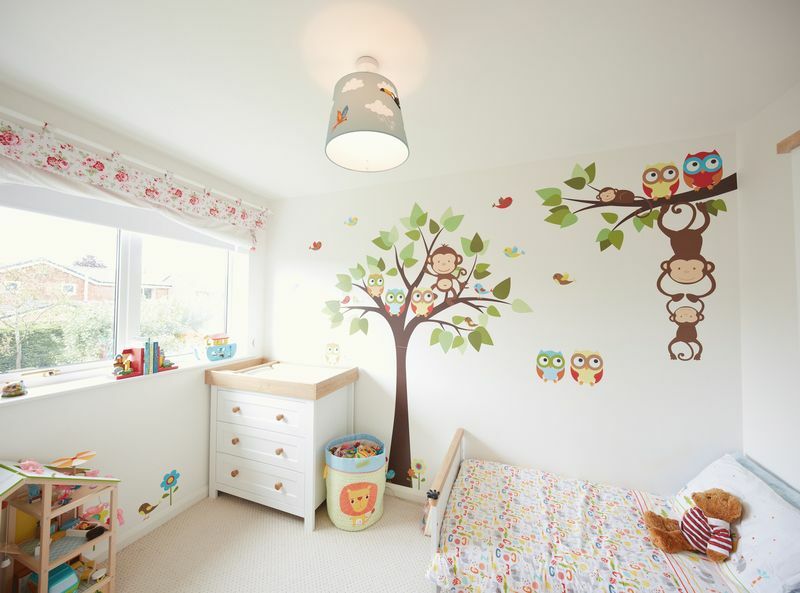 The current Nursery benefits from a double radiator and carpet underfoot. At the top of the staircase, you enter the family bathroom. A white three piece suite comprises of panelled bath with mixer tap, low level WC and pedestal wash hand basin. The room also features a tiled walk in shower cubicle with glass screen. The tiled walls and floor compliment the decor of the room and double glazed opaque windows provide additional light from rear elevation. Other features of the room include a chrome heated towel radiator and recessed lighting to ceiling. Integrated Double Garage is accessible via an electric roller door with remote control. The Garage features a wall mounted Vokera Minute gas fired central heating boiler, electric light and power points. A Santon pressurised hot water storage system is also housed in the Garage and the central heating is controlled via Nest digital system. To the front of the property the block paved driveway provides off road parking for multiple vehicles in addition to the Double Garage. The property is aesthetically pleasing outside as it is in, with its lawned garden to the front, with mature trees and established shrubbery creating a private yet scenic surrounding. To the rear of the property, a private enclosed West facing garden benefits from a block paved patio area, accessible via patio doors leading from the Dining Room and additional access provided via the Utility Room. 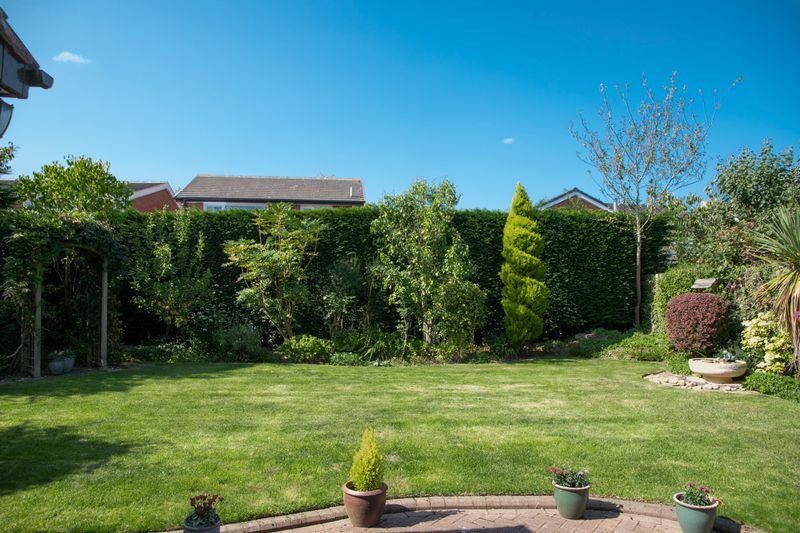 The garden is laid mainly to lawn and benefits from a variety of fruit trees including apple, pear, cherry & plum, with established conifers and shrubbery, creating a private space to retreat to. Other features of the garden include a timber shed.